Then eat of all fruits, and follow the ways of thy Lord, made smooth (for thee). There cometh forth from their bellies a drink divers of hues, wherein is healing for mankind. Lo! herein is indeed a portent for people who reflect. 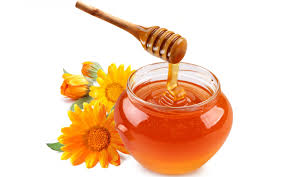 meaning there is a cure in honey for diseases that people suffer from. Some of those who spoke about the study of Prophetic medicine said that if Allah Subhaanahu WaTa’ala had said, `in which there is the cure for men’, then it would be the remedy for all diseases, but He said, `in which there is a cure for men’, meaning that it is the right treatment for every “cold” disease, because it is “hot”, and a disease should be treated with its opposite. Does not accommodate bacteria: This bacteria killing property of the honey is named as the “inhibition effect”. The experiments conducted on honey resolve that, its bacteria killing property increases twice when diluted with water. It is very interesting to note that the newborns in the bee colony are nourished with diluted honey by the bees responsible of their supervision – as if they know this feature of the honey. ALHAMDULLILAH as this is enriching to the Muslim UMMAH.